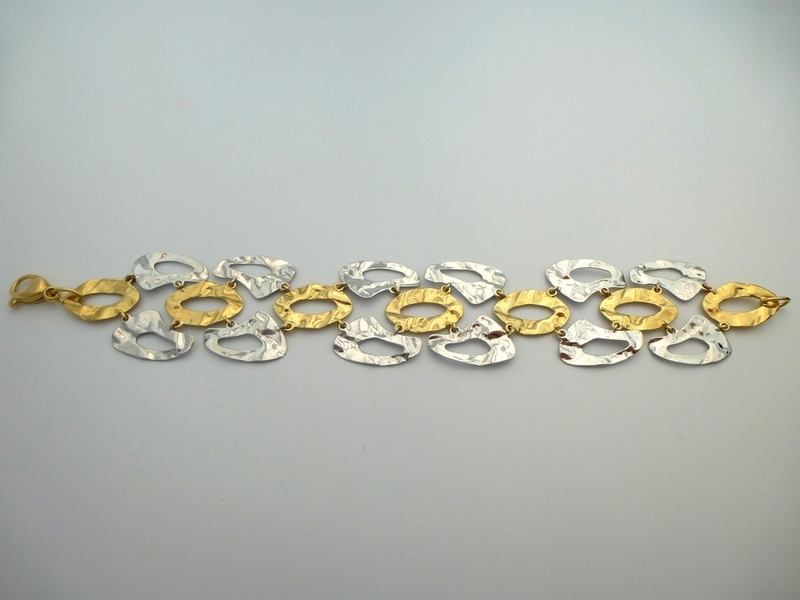 Bracelet in white and yellow gold in shiny and matte finishes. Exclusive design imported from Italy with guaranteed quality. Measure 3.10 cm wide and 21cm in length.